recent FIDF bicycle ride through Israel. 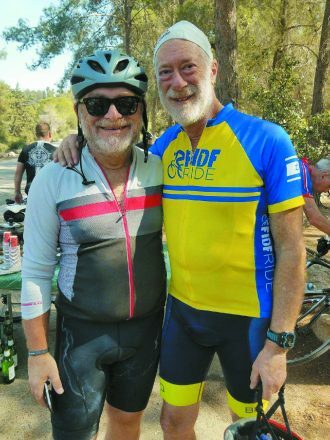 Two Detroit-area supporters of Friends of the Israel Defense Forces (FIDF), Sam Rozenberg of West Bloomfield and Alon Tolwin of Southfield, were part of a group of more than 30 who concluded an intense six-day bicycle ride through Israel last month. Joining the American FIDF supporters for this cross-country ride, which began in southern Israel, was a group of wounded Israeli combat veterans who have benefited from FIDF rehabilitative programs and prosthetic devices, and Israeli pro cyclist Roy Goldstein. The more than 30 cyclists from across the U.S. covered over 350 miles and a total vertical climb of more than 22,000 feet. 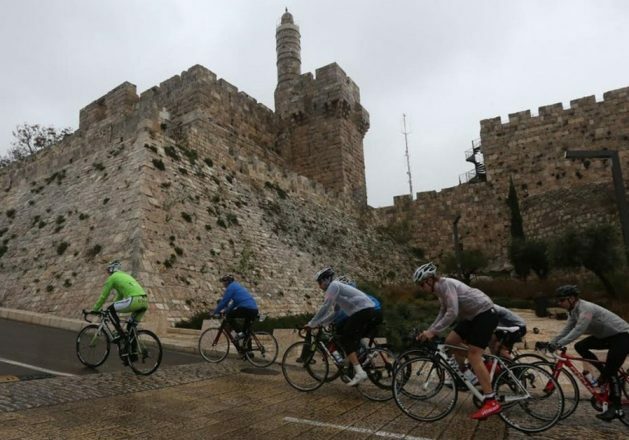 The ride allowed the participants, all of whom are avid riders, to show solidarity with and support for the soldiers of the Israel Defense Forces (IDF) while experiencing Israel from the seats of their bikes. Beginning at the Red Sea in Israel’s southernmost city, Eilat, the cyclists headed north, riding through the Ramon Crater in the Negev Desert, before continuing to Ashkelon and finally finishing in Jerusalem. Along the way, the group visited national landmarks, ancient historic sites, and Israeli military bases. 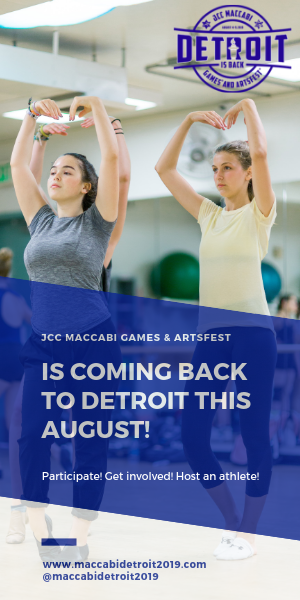 The participants met active-duty soldiers serving on these bases, Lone Soldiers who serve in the IDF with no immediate family in Israel and combat veterans who benefit from the FIDF IMPACT! Scholarship Program. ← If Conservative Judaism Falls in America and No One Is Around to Hear It, Does It Still Make a Noise?